Style and the NBA go hand-in-hand nowadays. Whether it's what you're rocking as they're walking through the tunnel into the locker room or how creating their latest signature sneaker, it is something cameras are checking for as much as a big dunk, block or swished jumper. Toronto Raptors power forward Serge Ibaka sports a lengthy 6' 10 body. For him it's all about being selective when it comes to getting the freshest outfit off. 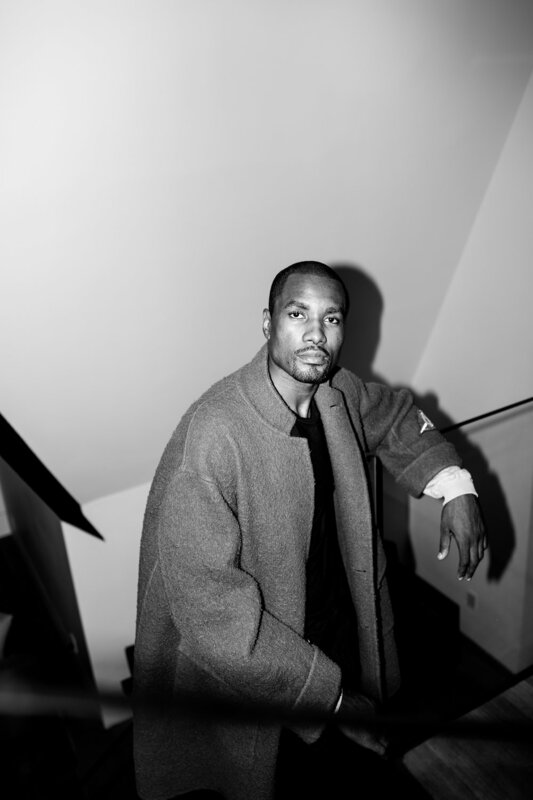 Flaunt caught up with Ibaka to discuss his style and his game. Check out our conversation with the Congolese big man below. What does your style say about your game? I think the confidence and consistency are two aspects that can be shown in both situations. Not too flashy, but definitely standing out. What have you added to your hoops game over the years? Every year is part of an evolution as a player. You have to add different aspects to your game because the game evolves too. I’ve been trying to add offensive capabilities, but without forgetting that defense is my trademark. Tailoring is huge for someone like you. What was the process of finding out exactly how you want to look like? How do you want your clothes to fit you? I like my clothes to adapt to my body and to be unique. It's a process of finding what looks good on you and having confidence. Your style evolves with time. What will you absolutely never ever be seen wearing? I think that If you have style and confidence you can try anything. My father and all Congolese stylish men. In Congo, we take style seriously and we know how to dress. When you're on road trips, what are things you definitely always remember to pack? Depends on the city and the mood, but something comfortable and stylish at the same time. Want to be comfortable when traveling or hanging out in a city but also elegant and confident when going to the games. Who would you say the top five best dressed athletes are? Russell Westbrook, Samuel Eto'o, David Beckham, Dwyane Wade and, of course, Serge Ibaka.